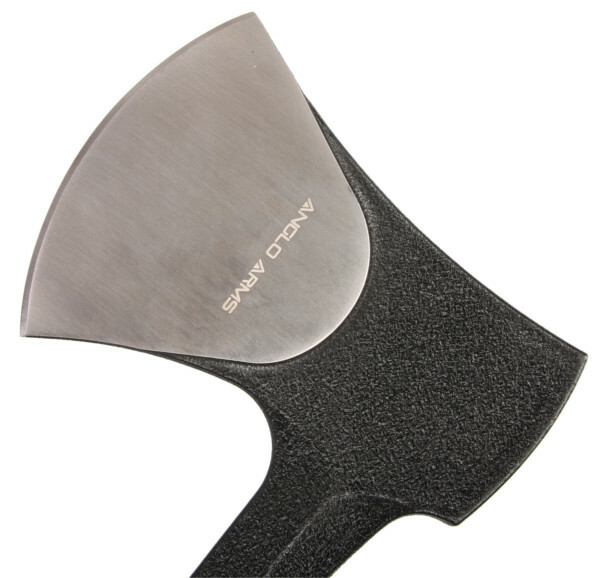 This axe will easily fit into every carryall thanks to its compact size. 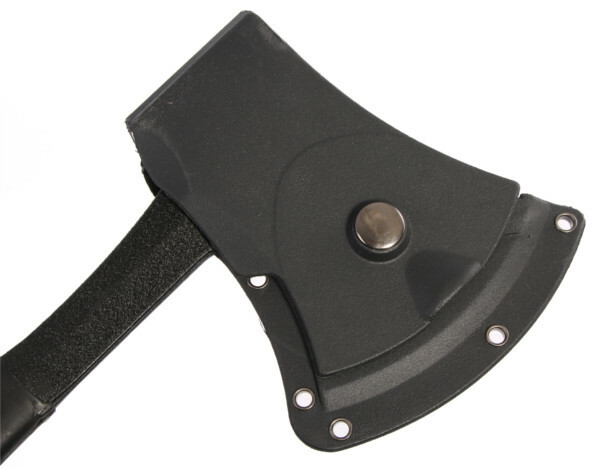 The axe comes with a protective sheath and belt clip. 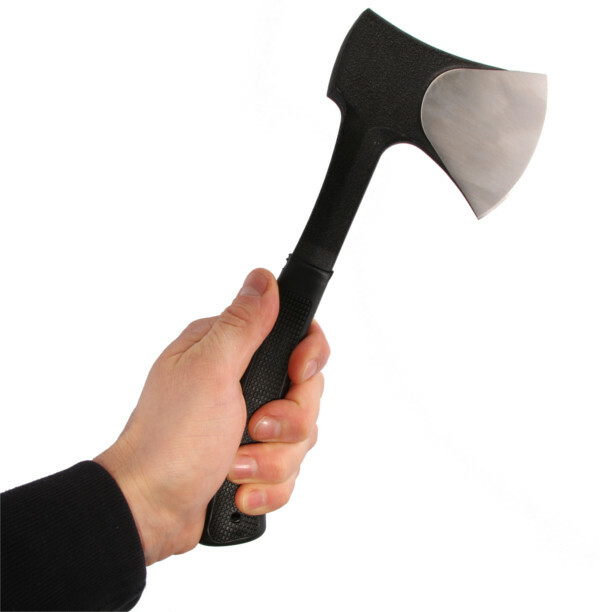 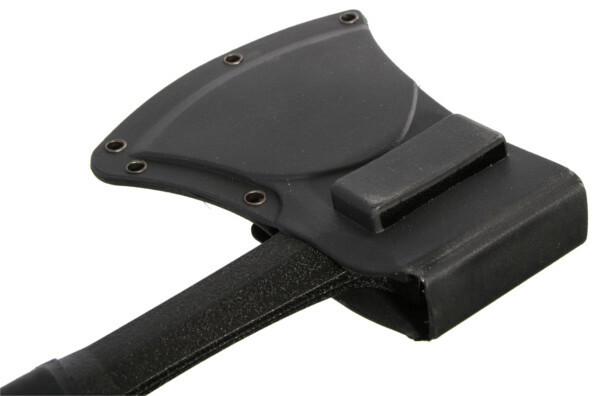 The axe has an ABS handle for optimal grip and comfort. Cutting down living trees and other plants in nature is prohibited and Fishdeal does not support this. 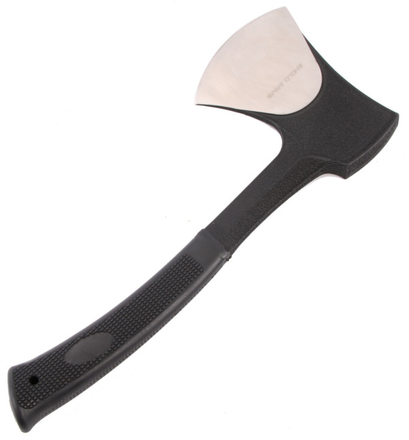 Use this axe only for splitting firewood.